This full-day program will be aimed at a broad audience of professionals and peers with various roles and responsibilities related to hoarding disorder. The first section will cover basic information about the disorder and its treatment. Next on the agenda will be training in skills necessary for intervention, including sorting and discarding, organizing, and resisting acquisition. Just after lunch will be a presentation on the role of peers and family supports in hoarding disorder. After that will be a video-based presentation of experiments with discarding designed to examine attachments to possessions. The day will end with a one-hour panel including the pre-conference faculty responding to audience questions. *** PLEASE NOTE: Professionals who work with HD are welcome to attend the full day of training. Peer responders are invited to attend the second half, beginning at 1:30pm. OCD occurring in people with Autism Spectrum Disorder (ASD) entails many challenges and nuances, especially given the heterogeneity of these clinical presentations. Diagnostic issues are fraught with difficulty as many of the characteristics of ASD can look like OCD symptoms, with the reverse being true as well. Becoming familiar with ASD symptomology as well as how OCD presents differently in individuals with OCD is vital for designing effective clinical interventions. Individuals with ASD can indeed benefit from Cognitive-Behavioral Therapy (CBT), including E/RP, but standard methodologies must be modified appropriately. Failure to tailor OCD treatment for ASD increases the probability of treatment refusal or failure. 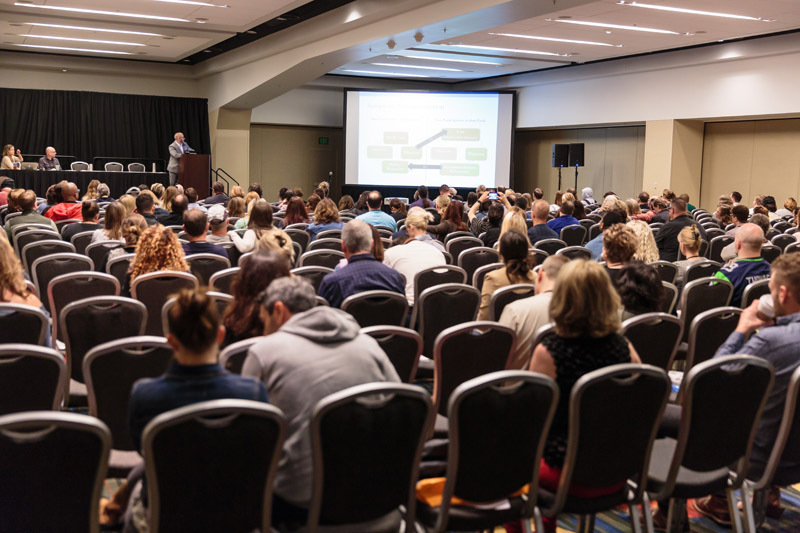 To help clinicians achieve the best possible outcomes for their patients, this seminar aims to impart a comprehensive model for understanding and addressing OCD in those with ASD— which includes family therapy, as well as community education and outreach. Participants will be able to identify the clinical complexities inherent in diagnosing and conceptualizing OCD occurring in those with ASD, especially in regard to how these complexities impact case conceptualization and both pharmacological and CBT interventions. Attendees will demonstrate how to modify assessments and CBT for OCD presenting in youth with ASD, and explain how this differs from adult presentations. Participants will apply a comprehensive model for understanding and addressing OCD symptomatology occurring in those with ASD, and the “how-to’s” of designing and implementing effective treatment protocols. To view the registration rates and register to attend a Pre-Conference Training along with the Annual OCD Conference, click here. To learn more about the IOCDF Research Symposium also taking place on Thursday, June 18th, click here.